When I’m using a flavor other than, or in addition to, vanilla, I often add milk to cream sodas. Not only does milk add protein to the drink, but its natural sweetness allows you to reduce or eliminate the sugar in your recipes. 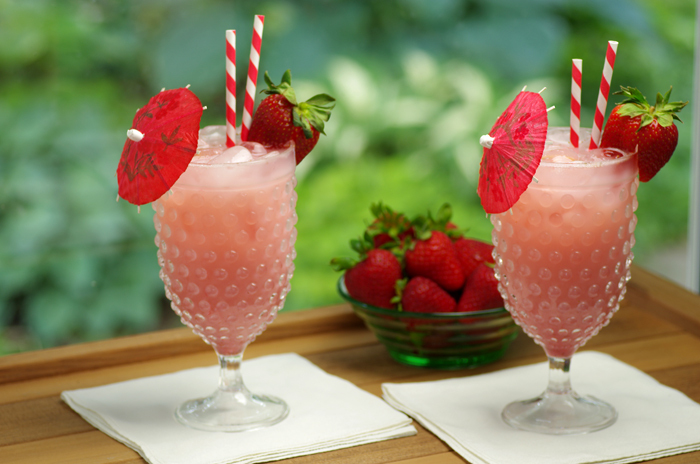 If you’re thirsting for something closer to an ice cream soda, you can substitute half-and-half for the milk. 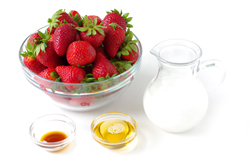 Combine the strawberries, milk, honey, and vanilla in a blender or food processor and puree. 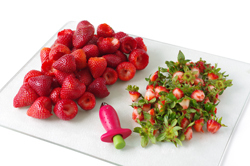 Strain to remove the strawberry seeds. 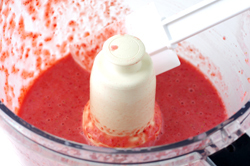 This puree will keep in the refrigerator for up to 24 hours, but is best used immediately. Pour the puree into a tall glass. Add the seltzer and stir just until blended. Add ice and serve. Recipes from Homemade Soda, 200 Recipes for Making and Using by Andrew Schloss. Published Storey Publishing, North Adams, MA. Reprinted with permission of the publisher. All rights reserved.